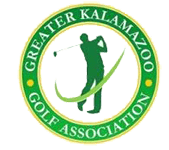 The GKGA Shawn Boyd Spring Shootout is a TWO DAY event is a Senior/Open 36 hole scratch medal event Saturday Best Ball and a Scramble Sunday Event.Your team MUST consist of at least one Senior (50 years and older) player. The Open Division player will play the tips and the Senior Division player will play (1 up). Your team MAY consist of 2 Senior Division players, however, you must designate 1 player to play the tips BOTH days prior to the tournament starting. The starting time will be a 9 am Shotgun start both days. There is no cut for this tournament. There are 4 closest to the pin contests for Senior and Open Divisions each. Warning: Slow play will NOT be tolerated. Teams falling behind on holes will be penalized or disqualified for the following day. Tournament Registration OPENS roughly 4 weeks before event date and CLOSES promptly at 6pm on the Wednesday before the tournament. It means that you’re NOT within the Registration window which is 1 month before and 3 days prior to the event. Please consider joining our mailing list on the right to be notified in the future of when the forms are ready! Used to contact you should there be a cancellation of event. We send out when an event registration is open, some reminders, and important information). You will be sent a separate opt in email. Unsubscribing is also a breeze. Adding yourself again will not double the emails you receive.